I recommend using these cards by cutting them apart and playing games such as around the world with your students. 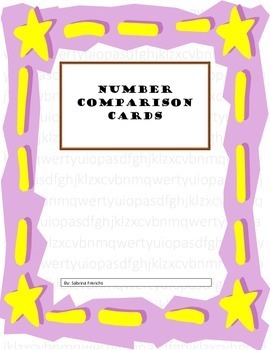 You may also use these cards for whole group instruction on comparing numbers 0-20. Use them to discuss great than, less than and equal to. You may also choose to use these mats at centers with play dough. 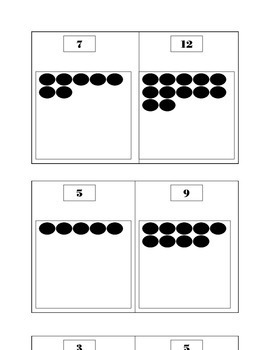 Have the children make small round balls to place on the black dots and identify which is greater than, less than, or equal to. 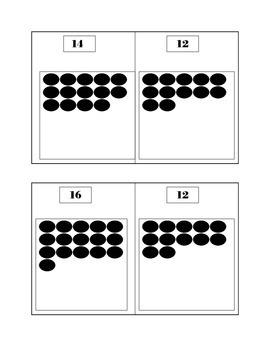 I have also used these with counting bears where students place the specified number of bears on a card and then made comparisons. They work great as flash cards. They are common core aligned. Great for grade k-1. I recommend printing on colored paper then laminating. 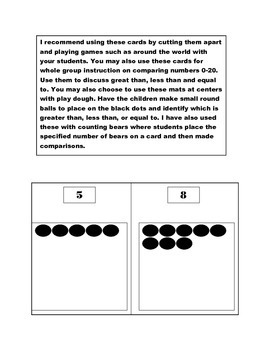 Comparing Numbers Math Mat by Sabrina Frerichs is licensed under a Creative Commons Attribution-NonCommercial-NoDerivs 3.0 Unported License.